LP version. The first time Maryanne Amacher's music has ever been available on vinyl. Maryanne Amacher (1938-2009) was a composer of large-scale fixed-duration sound installations and a highly original thinker in the areas of perception, sound spatialization, creative intelligence, and aural architecture. She is frequently cited as a pioneer of what has come to be called "sound art", although her thought and creative practice consistently challenge key assumptions about the capacities and limitations of the genre. Amacher's work anticipates some of the most important developments in network culture, media arts, acoustic ecology, and sound studies, yet due to its expansive interdisciplinary nature, it has rarely been documented. Following two CDs for Tzadik and her inclusion in the monumental collection OHM: The Early Gurus Of Electronic Music (1948-1980), this publication of Amacher's 1991 piece Petra marks her first commercially available instrumental work. Petra was originally commissioned for the ICSM World Music Days in Boswil, Switzerland. Written for two pianos, the piece is a unique example of Amacher's late work, a direct extension of her working methodologies for electronic composition taken into an acoustic realm that alludes to the music of Giacinto Scelsi and Galina Ustvolskaya. Petra is a sweeping, durational work based on both Amacher's impressions of the church at Boswil and science-fiction writer Greg Bear's short story of the same name, in which gargoyles come to life and breed with humans in a post-apocalyptic Notre Dame. This solemn interpretation of Petra was recorded at its 2017 American premiere at New York's St. Peter's Episcopal Church with pianists Marianne Schroeder, who originally performed the piece alongside Amacher in 1991, and Stefan Tcherepnin, who performed it alongside Schroeder in 2012 at Hamburger Bahnhof, Berlin. Weighing tranquilizing passages of glacially-paced serenity against stretches of dilapidated, jagged dissonance, the recording illuminates a crucial node in the constellation of Amacher's enigmatic oeuvre. Artistic director of the Giacinto Scelsi Festival in Basel, Marianne Schroeder is a Swiss composer and pianist specializing in the interpretation of New Music. She has collaborated with and premiered work by John Cage, Karlheinz Stockhausen, Dieter Schnebel, Anthony Braxton, Morton Feldman, Pauline Oliveros and Giacinto Scelsi, with whom she studied. She is currently a professor at Hochschule der Künste Bern. Stefan Tcherepnin is an American electronic music performer, contemporary artist, and composer in fourth generation, continuing the family heritage of his great-grandfather Nicholas, grandfather Alexander, and father Ivan Tcherepnin. Maryanne Amacher (1938-2009) was a composer of large-scale fixed-duration sound installations and a highly original thinker in the areas of perception, sound spatialization, creative intelligence, and aural architecture. She is frequently cited as a pioneer of what has come to be called "sound art", although her thought and creative practice consistently challenge key assumptions about the capacities and limitations of the genre. Amacher's work anticipates some of the most important developments in network culture, media arts, acoustic ecology, and sound studies, yet due to its expansive interdisciplinary nature, it has rarely been documented. Following two CDs for Tzadik and her inclusion in the monumental collection OHM: The Early Gurus Of Electronic Music (1948-1980), this publication of Amacher's 1991 piece Petra marks her first commercially available instrumental work. Petra was originally commissioned for the ICSM World Music Days in Boswil, Switzerland. Written for two pianos, the piece is a unique example of Amacher's late work, a direct extension of her working methodologies for electronic composition taken into an acoustic realm that alludes to the music of Giacinto Scelsi and Galina Ustvolskaya. Petra is a sweeping, durational work based on both Amacher's impressions of the church at Boswil and science-fiction writer Greg Bear's short story of the same name, in which gargoyles come to life and breed with humans in a post-apocalyptic Notre Dame. 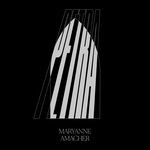 This solemn interpretation of Petra was recorded at its 2017 American premiere at New York's St. Peter's Episcopal Church with pianists Marianne Schroeder, who originally performed the piece alongside Amacher in 1991, and Stefan Tcherepnin, who performed it alongside Schroeder in 2012 at Hamburger Bahnhof, Berlin. Weighing tranquilizing passages of glacially-paced serenity against stretches of dilapidated, jagged dissonance, the recording illuminates a crucial node in the constellation of Amacher's enigmatic oeuvre. Artistic director of the Giacinto Scelsi Festival in Basel, Marianne Schroeder is a Swiss composer and pianist specializing in the interpretation of New Music. She has collaborated with and premiered work by John Cage, Karlheinz Stockhausen, Dieter Schnebel, Anthony Braxton, Morton Feldman, Pauline Oliveros and Giacinto Scelsi, with whom she studied. She is currently a professor at Hochschule der Künste Bern. Stefan Tcherepnin is an American electronic music performer, contemporary artist, and composer in fourth generation, continuing the family heritage of his great-grandfather Nicholas, grandfather Alexander, and father Ivan Tcherepnin.